3GP is a popular mobile phone video format that sometimes you might want to edit 3GP video in iMovie, but the truth is iMovie doesn't support 3GP format. To efficiently solve the program, you need to find a reliable video converter to convert 3GP to iMovie-compatible format, such as .mov. Here we collect a professional desktop video converter as well as 5 other 3GP to MOV online converters for your selection. Read on to find out which one suits you best. Actually, all listed 3GP to MOV converters are capable of converting 3GP to MOV, the major difference lies in the limited conversion feature of online video converters. 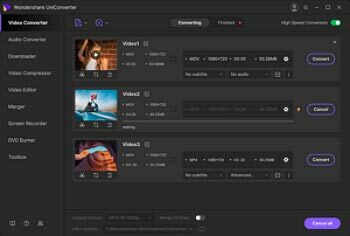 If you're looking for a versatile and professional video converter, your first choice would undoubtedly be Wondershare UniConverter (originally Wondershare Video Converter Ultimate). It not only converts 3GP to MOV, but also AVI, MP4, MTS and other 1000+ formats. With it, you don't need to worry about any format limitations and you are capable of converting anything! Aside from the all-in-one Wondershare UniConverter (originally Wondershare Video Converter Ultimate) mentioned above, you can also take a look at the following free 3GP to MOV converters online. FileZigZag is a complete online file formats converter which is effective, easy to use and totally free. It supports a wide range of file formats like videos, documents, images and songs and converts online video by adding its URL. But note that the maximum file size is 180MB. Looking for something easy to use? Convertfiles will surely be your choice. It lets you convert an URL and local files from 3GP to MOV at high speed. If you want to backup the download link of your converted files, just enter your email address, then this free online 3GP to MOV converter will send the download link (for the converted .mov file) to you. This is really a great tool for converting 3GP to MOV online. To achieve your conversion process, this converter requires 4 steps only. Choose your local file → Select output file format → Enter Email Address → Convert. The converted file will be sent to your email box. Once opening the home page of Online-Converter, you will clearly see all of its functions, audio converter, video converter, image converter, document converter, ebook converter, archive converter, hash generator. For converting videos, this free online 3GP to MOV converter supports a lot output formats, including AVI, MOV, MKV, FLV and more. Onlinevideoconverter might make you feel confused at the first sight. First it needs you to choose your location. Then 6 applications will be listed there. The second and third options are for converting 3GP to MOV online. 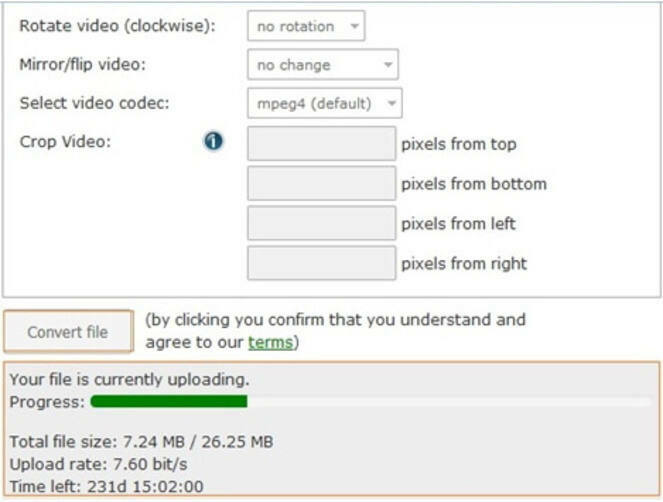 You can enter a url or upload files to start video conversion.